Tenure: The position is initially for one year and it’s tenable up to 25.02.2021 based on progress yearly. Details of eligibility, fellowship, age etc. are as follow. Fellowship: JRF: Rs. 25,000/- p.m plus admissible H.R.A /SRFRs 28,000/- p.m., and admissible H.R.A. Age: Under 28 years for JRF and under 30 years for SRF. (Relaxable in the event of SC/ST/OBC/Women candidates according to rules). * According to DST Office Memorandum No. SR/S9/Z-09/2012 obsolete 21.10.2014, the following examinations conducted by various Central Government Departments / Agencies are considered as National Eligibility Test (NET). SRF: Masters degree in any branch of Biological Sciences with NET eligibility and two years of research expertise within the field of Microbiology (Molecular Microbiology and/or Bioremediation). Fantastic communication skills. Application Procedure: Interested candidates are asked to bring an application letter (hardcopy), hard copy of CV, a brief description of research experience (hardcopy, maximum 1 page) and hard copies of all self-attested applicable documents (certificates and marks sheets from Course X, Class XII, BSc, MSc) plus a photo-identity proof on the date of interview. Candidates also have to bring valid document of NET eligibility. CV must have contact information (email address and mobile phone . ), date of birth and candidate’s picture. Requirements: No TA / DA will be provided to the candidate for the interview. 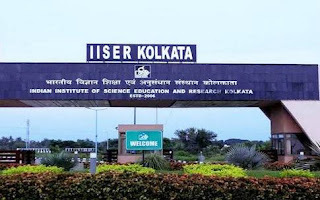 Direction to reach IISER Kolkata:http://www.iiserkol.ac.in/web/en/contact-us/how-reach/. The conclusion of the selection committee will be final. Date of walk-in interview: September 5, 2018.